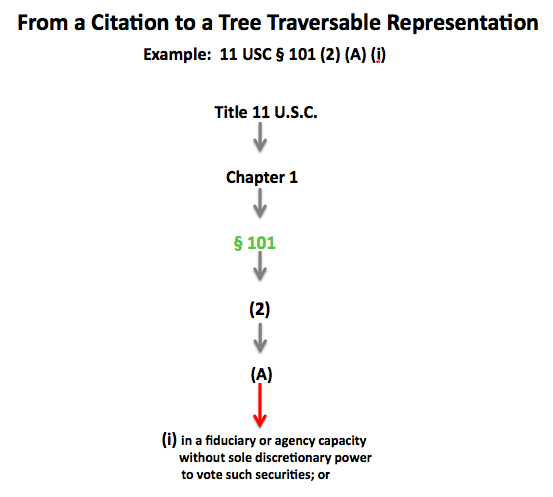 This is part of our ongoing visualizations of the United States Code. 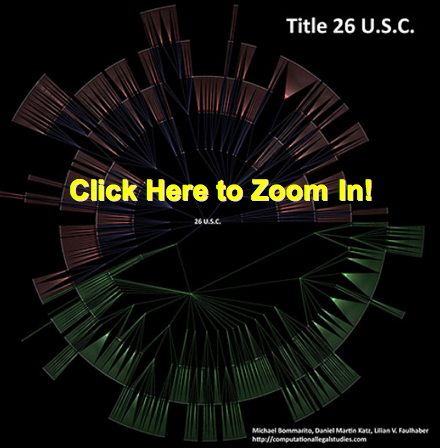 For previous posts visualizing other portions of the code see Title 26 Tax and Title 11 BK. So, we wanted to test out the new Sea Dragon Visualizer from Microsoft Labs and thought Title 17 Copyright would be a fun way to give it a go. 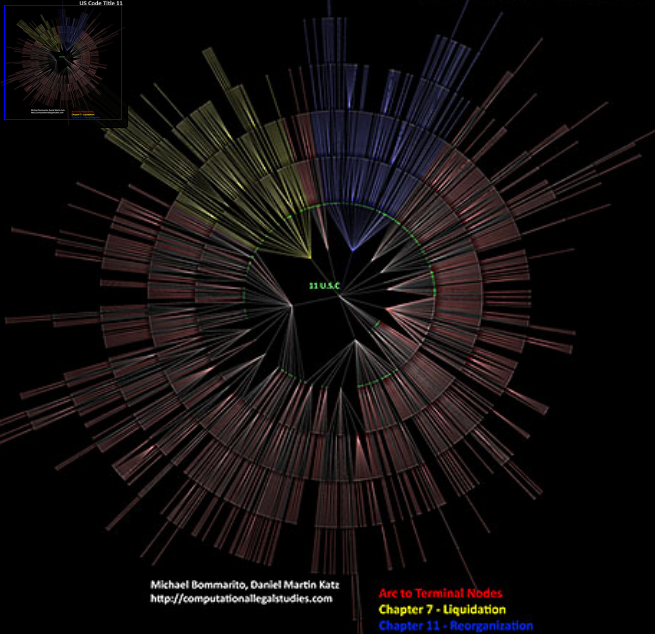 In this visual, each of the chapters under Title 17 is separately colored. To use the visual, start in the center with the large label “Title 17 U.S.C.” and traverse the graph all the way out to any section or subsection. Sea Dragon should allow the user to smoothly zoom in and read any node. We love the interface.